Kristen is one of the best! Based on positive online reviews, I couldn’t have been more satisfied with the process she guided every step of the way selling our home. 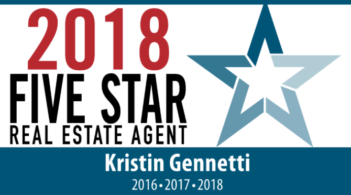 While the process of selling our home was much more difficult than we’d imagined, based on the levels of competitiveness, Kristen gave us excellent guidance, unflagging availability, and deep knowledge about how to sell our home. It was not a sellers market and our timing was off as well. Particular high points were helping us market our home and getting us the best return on our investment possible. If you need a Real Estate Professional Kristen is my highest recommendation. She is trustworthy, funny, available and knowledgeable in the real estate market. I am definitely satisfied and happy that we choose Kristen. She definitely got us more than we thought we would get.